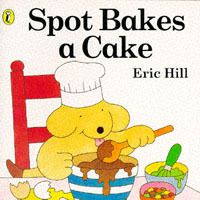 Why I like this book: Every little kid loves Spot. The flip book quality is always entertaining and keeps kids engaged. 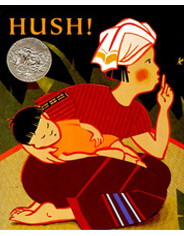 A great story to use to help kiddos who are struggling with pretend play. Can read the story and then “act” it out. I’ve been using a bowl, spoon, plastic “easter” eggs, a box for an “oven,” and a pretend cake (MelissaandDougpretendbirthdaycake). We act out the story, complete with singing happy birthday. Can build and expand on the pretend play scheme: before making-make the shopping list, drive to the store, shop. After: wash the dishes, put dishes away, etc. Great for early exposure to “wh” questions. Where will they buy the ingredients? Who is hiding? Whose birthday is it? Why are they making a cake? Lots of practive of “K”: cake, bake, cook, clean, cupboard, card, coloring, crayons, etc. Description: Santa eats a few too many sweets and gets stuck in the chimney. His only hope of escaping is the team effort of his reindeer, and the pets of the house. 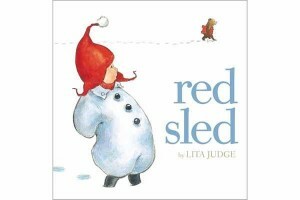 Why I like this book: For our friends who celebrate Christmas, it’s humorous with great illustrations that kids love. A good story that gets you into the holiday spirit. Have children fill in the rhyming word when appropriate. Can they generate another word that rhymes? Lots of repetition of “No luck, Santa’s stuck.” Great repetition of /s/, /st/ and /l/. The story is filled with lots of opportunity for all of these sounds. 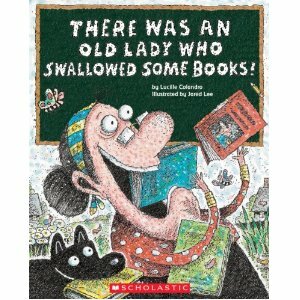 An easy story to have children retell using the pictures. A simple sequence of events. Encourage temporal markers (first, next, then). Would be a good book for Mindwingconcepts. Clear “kick-off” (Santa gets stuck) and events, tie up. Lots of opportunity for early “why” and reasoning. 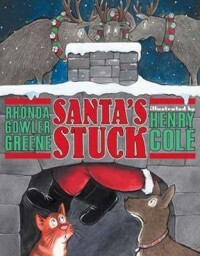 Why is Santa stuck? What do they have to be quiet? etc. Great for teaching prediction. Each picture has a small circle illustration that often tells what is happening next. Awesome illustrations for reading body language. What are the animals thinking? Feeling? Why? 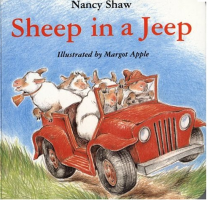 Description: This story follow some silly sheep whose jeep breaks down. Why I like this book? The sheep show great body language for kids to interpret, and the story is always a hit given the silly events that take place. 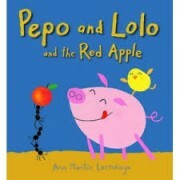 •Have kiddos tell the story using their own words.